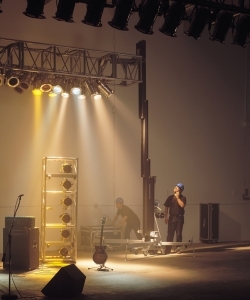 Designed for use in the entertainment industry, the Genie Super Tower is widely used in theatres to lift and support lighting, sound systems and stage scenery. Its flat black anodised finish blends in backstage, making it almost invisible to audiences. Can be used individually or in combinations of two or more, to support trusses. Easy to set up, transport and store. 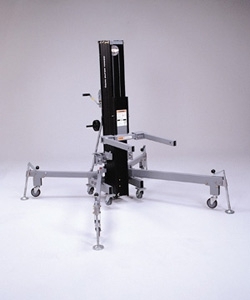 Lifts 363kg to a maximum height of 6.46m with the forks up, and at only 230kg, can be used on sensitive surfaces. The larger Super Tower™ lift with a maximum height of 7.94m and load capacity of 295Kg.